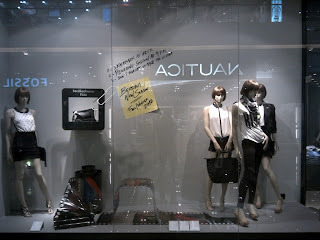 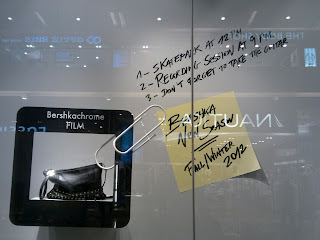 Bershka window display for fall 2012 takes inspiration from a movie director's table. 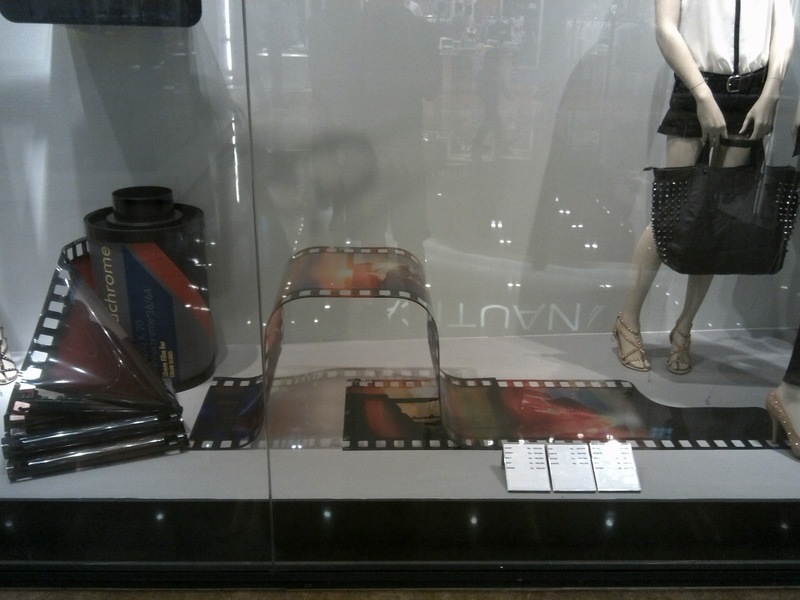 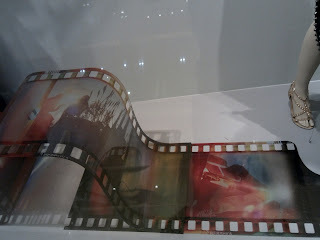 There is a giant roll of film laying on the ground, while pin-it paper on the wall showing some schedules to be done. A unique and outstanding concept, never seen it before.